For this new family home, in the popular suburb of Spring Bank Rise, Casey, the interior design aesthetic was sleek and modern. A strong palette of black, charcoal and white, blends with the soft curves of gun metal fixtures and fittings. 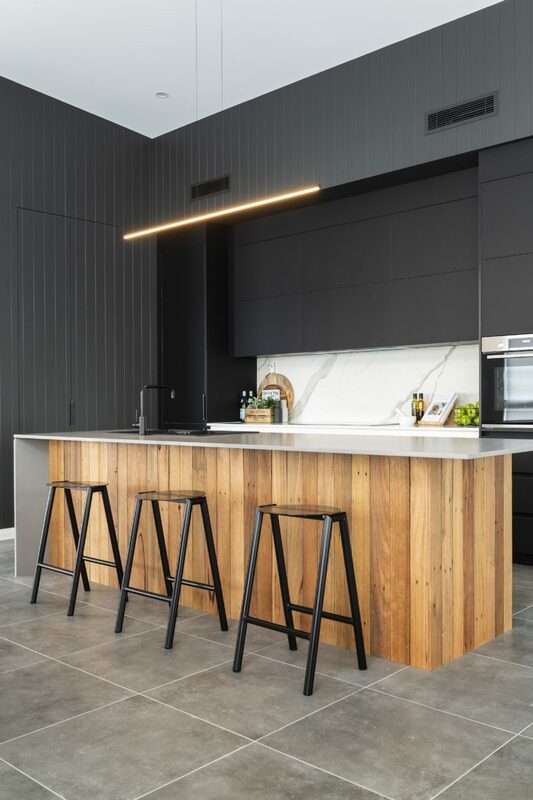 Feature chevron tiles, recycled timber and dramatic vertical wall cladding adds a little drama to this timeless interior. Built by R.E.P Building. Photography by Hcreations.